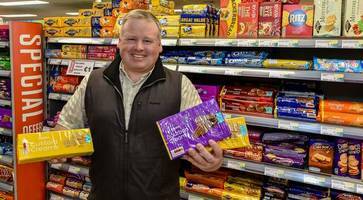 A Co Donegal shop owner who stockpiled custard creams for customers has said the Brexit delay has wrecked his plans. 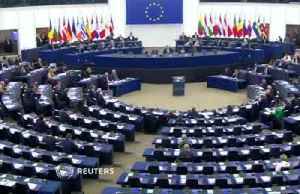 ▶ Videos for "Brexit Extension"
Britain&apos;s Brexit extension will give Eurosceptic parties in European Parliament elections a higher percentage of seats - but what does that really mean? Lauren Anthony reports. 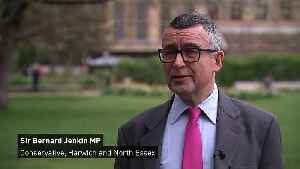 Sir Bernard Jenkin says that Theresa May is "leaving the Conservative Party behind her". 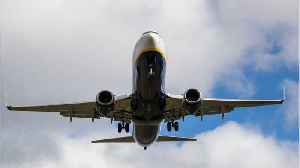 The prime minister travelled to Brussels on Wednesday to request a Brexit extension from the EU, which was..
Reuters reports that airline stocks are helping European shares advance on Thursday. 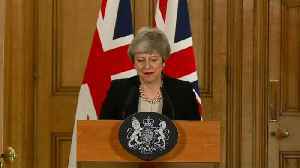 The assistance comes after European Union leaders gave Britain another six months to leave the EU. Gains for.. 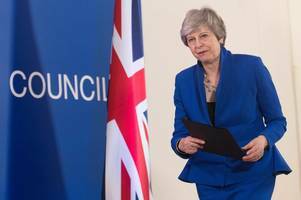 The European Union leaders’ decision to give Britain an extra six months to leave the bloc should not be misunderstood as creating new leeway for negotiating the Withdrawal Agreement. 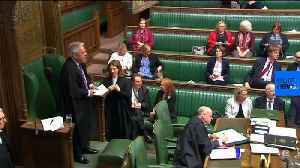 The prime minister has made a statement in the House of Commons following the UK's agreement on Wednesday night to a Brexit extension until 31st October. 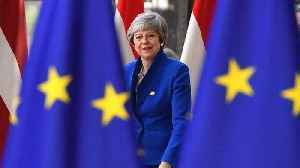 Britain has the option to leave the EU before..
Theresa May has arrived back at Downing Street having secured an extension to Article 50 on Wednesday evening in Brussels. The UK has agreed to the EU's offer of a flexible Brexit extension until 31st..
Brexit extension granted: What happens now? 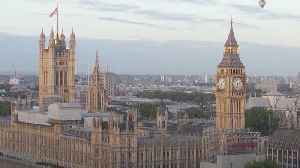 The UK is heading for a Halloween deadline for European Union withdrawal. 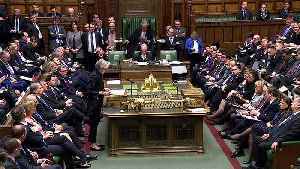 After a second extension to the Article 50 Brexit process, what happens next? 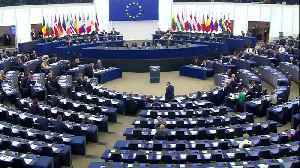 The EU has agreed to a flexible extension of the Brexit deadline, moving it to 31 October 2019. 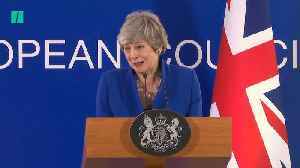 PM Theresa May dashed to Brussels late on Wednesday night to make a case for the extension. French.. 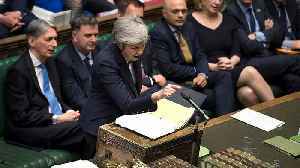 Many analysts say the Brexit extension does not mean the UK Prime Minister is any closer to resolving the Westminster stalemate. 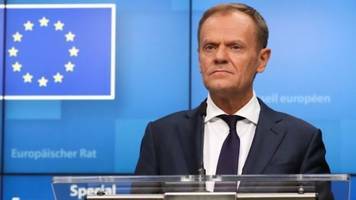 Addressing a news conference after eight hours of talks, European Council President Donald Tusk says the &apos;course of action will be entirely in UK&apos;s hands&apos; and called on.. 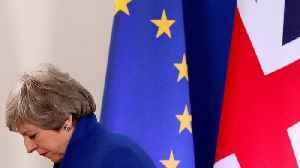 According to Reuters, some EU leaders expressed support for a short Brexit extension at a meeting in Luxembourg. 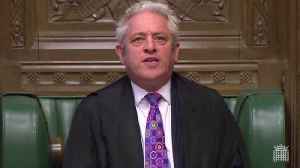 This gives British lawmakers more time to come up with a withdrawal agreement. 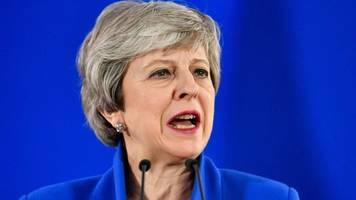 Prime Minister Theresa May signaled to other EU leaders on Wednesday she was open to accepting a longer Brexit delay if she could cut it short, EU officials said, describing her performance at a summit..
Theresa May and Angelea Merkel appeared to share a joke over an iPad as EU leaders sat down for Brexit extension talks. 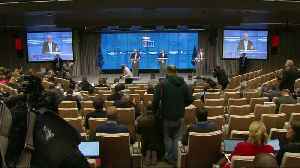 Leaders from the EU will discuss in the meeting the possibility of offering a..
Irish Taoiseach Leo Varadkar said he was open to either a short or long extension to Article 50, as he arrived at the EU summit in Brussels. 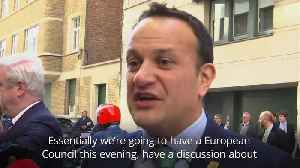 Mr Varadkar is meeting other EU leaders for a crunch summit..
UK Prime Minister Theresa May made a last-ditch tour to garner support for another Brexit extension ahead of Wednesday's European summit. 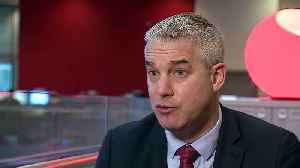 Stephen Barclay has dismissed the suggestion by European Council President Donald Tusk of a long Brexit extension of no more than a year. The Brexit Secretary supports Theresa May's request of an.. 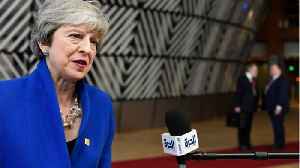 The UK Prime Minister will hold face-to-face meetings with the German and French leaders in advance of the emergency Brexit summit on Wednesday. 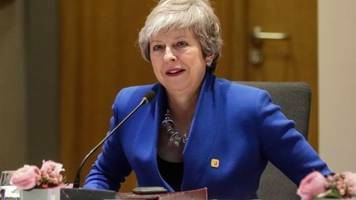 Theresa May is continuing to face strong resistance from.. 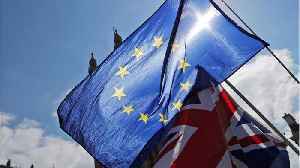 The latest European Union decision to grant Britain a further Brexit extension shows that European leaders are able to find a common solution, Germany's Economy Minister Peter Altmaier said on Friday. The short and long story on what might happen before the next Brexit deadline. 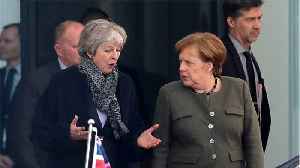 The European Union leaders' decision to give Britain an extra six months to leave the bloc should not be misunderstood as creating new leeway for negotiating the Withdrawal Agreement, German Foreign..
A six-month extension to Brexit was agreed by European Union leaders on Thursday. 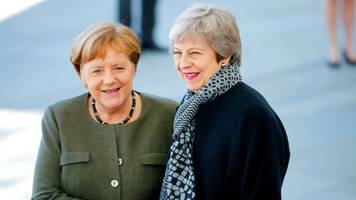 A longer Brexit extension would have been better, a senior German conservative said on Thursday, after European Union leaders gave Britain six more months to leave the bloc. 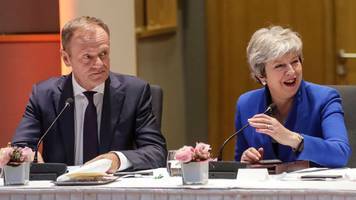 A second referendum on Britain's withdrawal from the European Union, snap elections, and an additional Brexit extension are among the possible options for Britain, EU Commissioner Guenther Oettinger..
"Don't waste this time," Donald Tusk urges the UK after announcing a further "flexible extension". 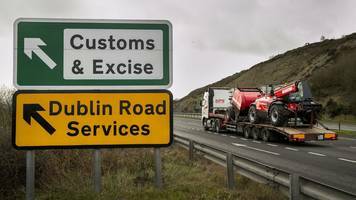 Irish Prime Minister Leo Varadkar said on Thursday the United Kingdom would crash out of the EU on June 1 if it failed to hold European Parliament elections during a Brexit extension granted until the.. 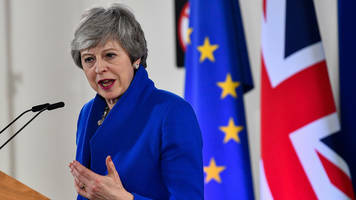 The leaders of the 27 EU countries remaining in the European Union have agreed to an extension of Brexit, the chairman of EU summits said in a tweet on Thursday. 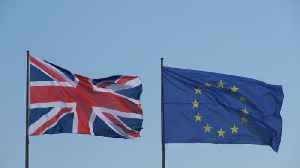 The EU has granted the UK another Brexit extension until October 31, it has been reported. 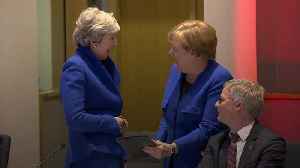 As the EU discusses the UK's request for a short delay, France and Germany are split over its length. 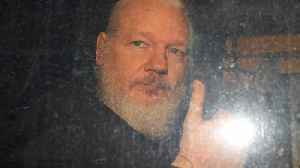 European Union will have more meetings without Britain and will demand the country refrains from undermining the bloc "in particular when participating in the decision-making processes" during an..
Any further extension of the period leading up to Britain's departure from the European Union should be for a clear reason, Austria's minister for European affairs Gernot Bluemel said on Wednesday. Arlene Foster says watching the Prime Minister "pleading" with EU leader for a Brexit extension is "painful". 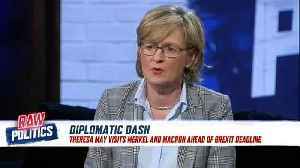 Ireland's prime minister expressed confidence that his French counterpart was open to offering Britain an extension to Brexit talks after the pair met last week, but that President Emmanuel Macron..
Theresa May is flying to Berlin and Paris for top-level discussions as she seeks support for another last minute Brexit extension. 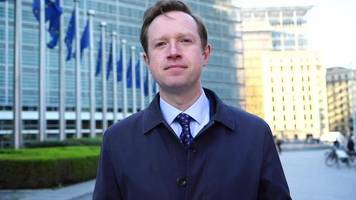 The European Union must understand what Britain wants to achieve during its requested extension of the Brexit deadline and what role it wants to play in the EU during that time before the EU can grant..